Cable TV with many channels and Wi-fi to keep you connected. 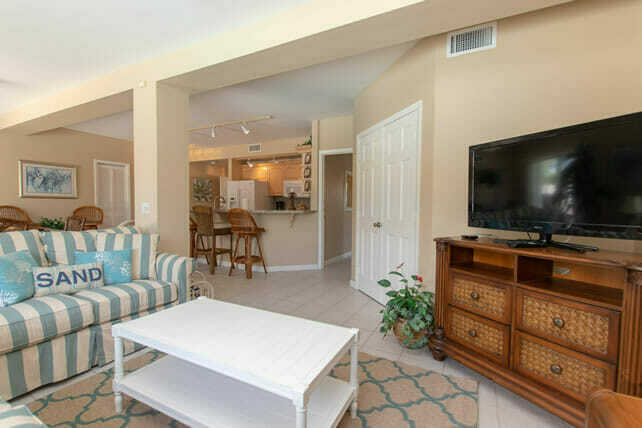 Palm Villa has a living room upstairs and downstairs to relax inn. Comfortable seating and Cable TV with a wide variety of channels and TV’s throughout the house including both living rooms. Each living room has a DVD player as well for watching movies which can be rented at local redboxes. There are indoor dining tables upstairs and downstairs as well as two outdoor dining tables on the terrace upstairs. Discover all of the small touches Palm Villa has to offer with artwork and interesting accents throughout the living space. Central Air Conditioning and ceiling fans to keep you nice and cool in this tropical paradise.